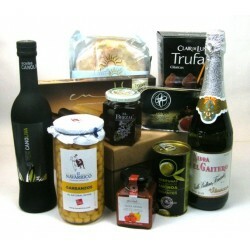 A well presented hamper of fine Spanish foods. 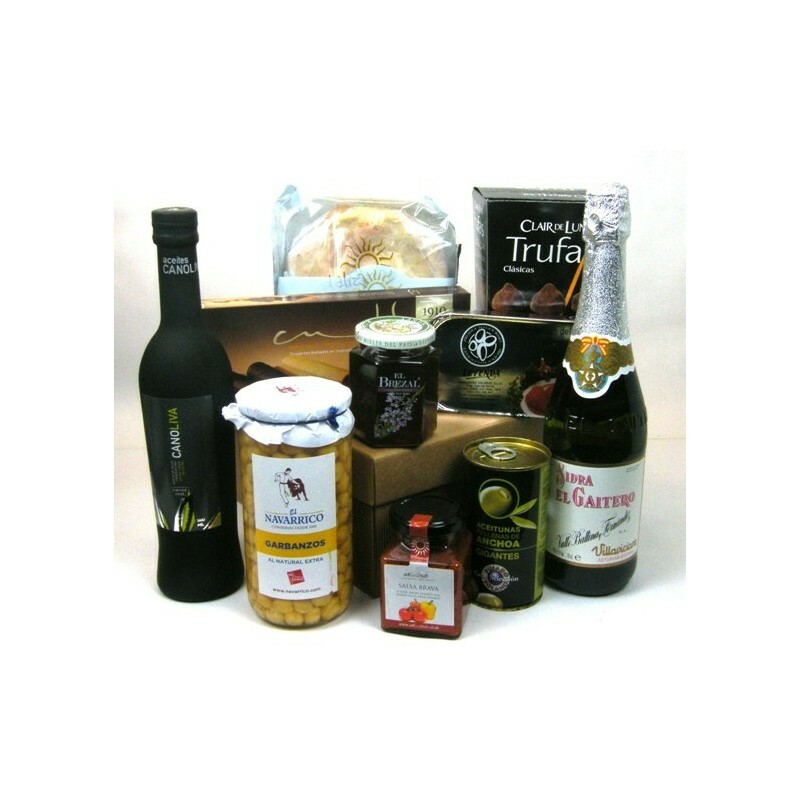 A well presented hamper packed with fine Spanish Foods. Presented in a useful fluted card hamper box with natural shred filling.